I have developed a theory. One that (admittingly) has no real basis in reality, but is fun to think about none-the-less. 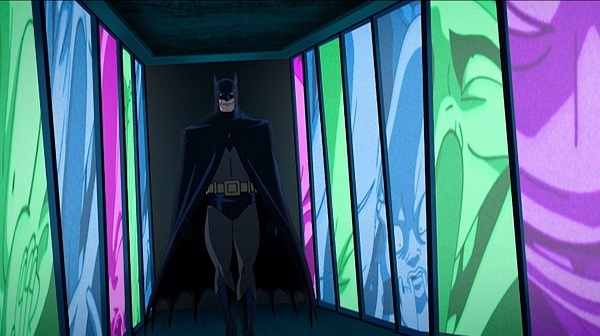 That theory involves the Batman movies, as Warner Bros. makes both live action and animated ones. The animated movies are more frequent since they are more cost efficient to produce, and there is typically a couple released every year. Sometimes there is even one released in a year of a live action tent poll release. The running joke is that when one of these live action releases ends up being really terrible, there is usually a Bruce Timm produced animated film sitting on store shelves, being produced at a fraction of the cost, with much less advertising behind it, that somehow managed to be much better than the expensive movie that got released earlier that year. So, if “Batman v Superman: Dawn of Justice” left you feeling shafted, Warner Bros. 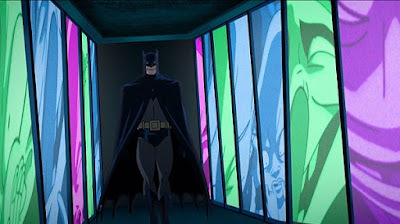 Animation is here with “Batman: The Killing Joke,” arguably the REAL Batman movie of the year! Unlike the live action movie that spent so much time on special effects it wanted to make your head explode, this animated movie has characters who think about the problems they are facing. 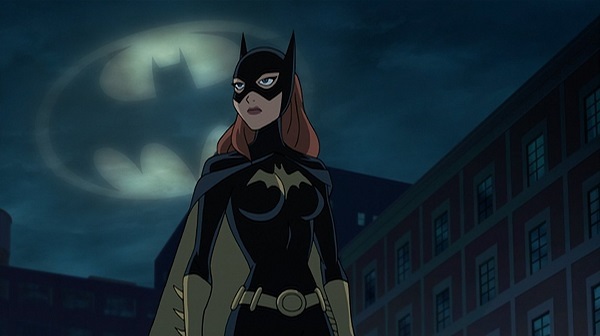 It has a young Barbra Gordon (AKA: Batgirl) examining her life and what this whole crime fighting thing means to her. It has Batman questioning what will be the breaking point that will get him to go too far one day. Mainly, though, you have the Joker, so lonely and sick in the head, he decides he will unleash a plan to prove how one bad day can tip someone over the edge of sanity. This was interesting to take in because, while I was very familiar with the original Alan Moore graphic novel this was based off of, it was also how apparent this would not have been made in a live action movie. When you have big money at stake, you aren't going to make a movie where there is an actual plot. For that matter, on the off chance you do have a story, you aren't going to go for something a low key as a villain proving a point. In a live action film, Joker would need to blow up buildings, get involved in a major car chase, and have some grand conspiracy at foot. Here he simply kidnaps one man in an effort to drive him mad. That he wants to show that man will always choose insanity when pushed far enough makes sense, but is he just doing this for Batman's sake? 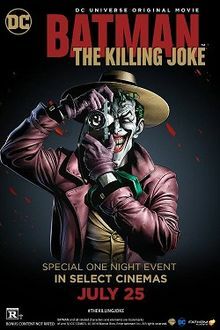 In a change of pace, we actually do get to see Joker's life before crime, where he was a poor man, married to a woman, and struggling to make a living as a stand-up comedian. For someone who is so perverse and diluted in the world, it is a bit humbling to see he was such a normal person at one point in time. 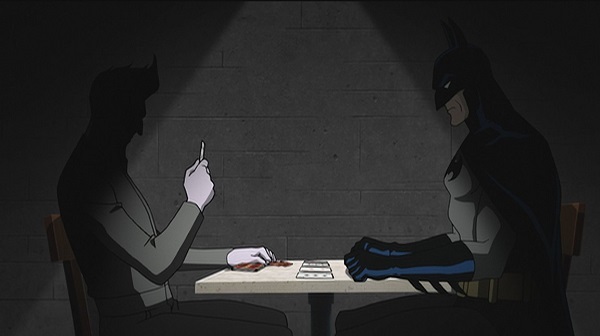 As the flashbacks are intertwined with the present day, we come to understand that Joker doesn't want to prove a point to Batman; he wants to prove a point to himself. He wants to see, first hand, that other people can fall from sanity as spectacularly as he once did. If he can prove that, it may be the closest thing to comfort he's had in years. The film is violent enough to earning its R-rating, however, I believe the MPAA also deemed this for adults only because they recognized the themes in this film are much heavier than you normally find in a superhero movie. These are actual characters we are watching develop on screen. None of them are perfect. The movie deals more with what makes people tick and how different people react to bad things happening in their life. The ending, I have to say, left a huge impression on me, and more than makes up for any shortcomings the film has. Without spoiling the punchline, the final moments are that of utter uncertainty. Have two opposites finally attracted? Has some common ground been met? Is there an understanding after all this time? Or is Joker ultimately right, and will Batman fall from grace one day himself? It's a final shot that offers few answers and little assurance, which is what makes it worth ten ‘Batman v Superman' movies combined. 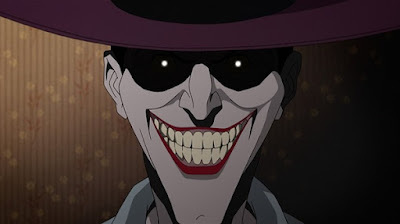 It should be noted that “Batman: The Killing Joke” isn't exactly a perfect film. There is an extended prologue early in the movie that doesn't really go anywhere (and introduces one twist that is positively laughable). Most of the actors do fine in their roles, but the stand out performance is that of Mark Hamill as the Joker. Having played the character for years it should come as no surprise he is good, but he is so good that he sort of makes the other actors feel like amateurish chimps in comparison. His character is where the focus of the story works, and it's strange that, of all the ways to stretch out the source material, the film makers decided delaying his appearance was the way to go. Still, I can't complain too much. At a point in time when superhero movies are more predictable than ever, it's nice to see someone still takes them seriously enough to make a real movie with them. Apparently, all you need to do to be creative in this genre is to ask for very little money, and the studio won't pay attention to what you're making. P.S. Parents should be strongly warned that this movie is rated R and is positively only for mature audiences. There are plenty of PG-rated Batman movies to buy online, so save this one for date night instead. Parents, there is strong violence and some disturbing images. Recommended for ages 16 and up.